1.4.5 英語放送スクリプト編: 京成スカイライナー(英語のみ) - dutcheez’s Fun with English! This is the Skyliner bound for うえの via the Narita Sky Access Line. This train will stop en route at にっぽり. All seats are reserved, and smoking is not allowed anywhere on this train. Restrooms are located in car no. 5, and soft drink vending machines are located in car no. 4. The next stop is にっぽり. Thank you. In about five minutes we will be arriving at にっぽり. At にっぽり you can transfer to the JR lines and the Nippori-Toneri liner. Thank you. In just a few moments we will be arriving at にっぽり. The doors on the right side will open. The stop after にっぽり will be うえの, the last stop of this train. Please make sure to take all of your belongings with you. Thank you for using the Keisei Skyliner. We look forward to having you onboard again soon. The next stop is うえの, the last stop of this train. At うえの, you can transfer to the JR lines, the Tokyo Metro Ginza line, and the Tokyo Metro Hibiya line. Thank you. 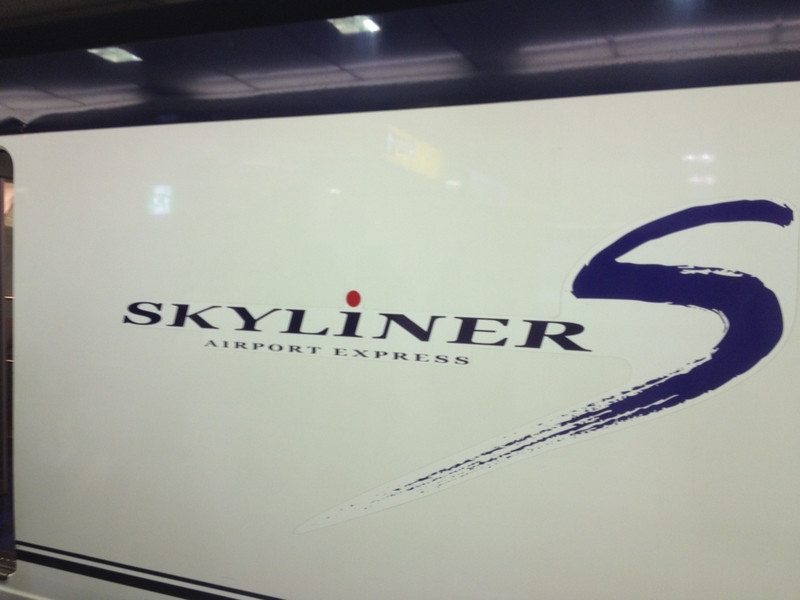 This is the Skyliner bound for なりたくうこう via the Narita Sky Access Line. This train will stop en route at にっぽり, くうこうだいにびる, the station for airport terminal 2, and the last stop is なりたくうこう the station for airport terminal 1. For terminal 2, please get off at くうこうだいにびる and for terminal 1, please get off at なりたくうこう, the last stop of this train. The next stop is くうこうだいにびる, the station for airport terminal 2. Thank you. The airport has two terminals and two corresponding train stations. For visitors who are leaving Japan: we hope you enjoyed your stay in Japan; Tokyo awaits you in the near future!